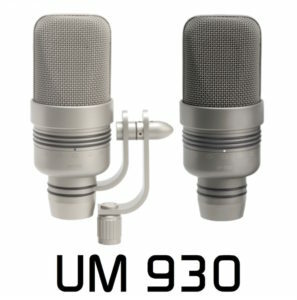 The UM930 features 2 separately mounted capsules mounted on an elastic capsule suspension system with a transformerless balanced output FET pre-amplifier. 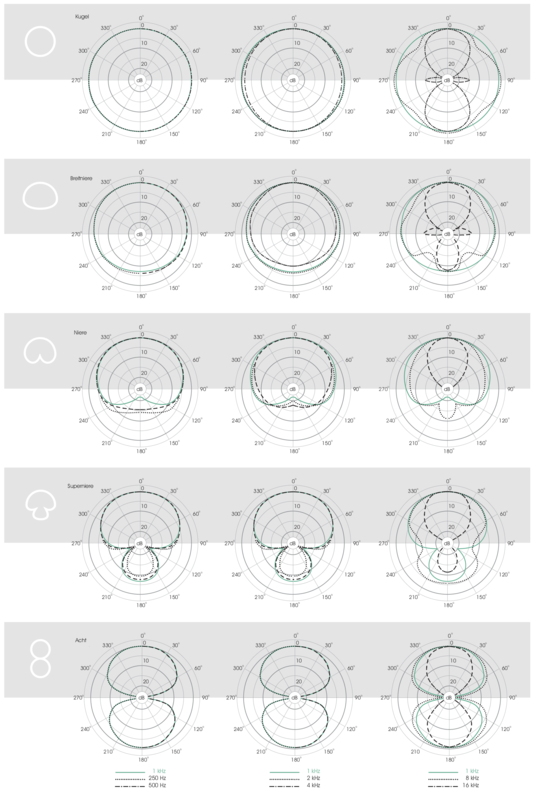 The five polar patterns are selected by a switching ring on the body, magnetically operating reed relays giving omni-directional, wide cardioid (hypo-cardioid), cardioid, super-cardioid and figure-8 characteristics. 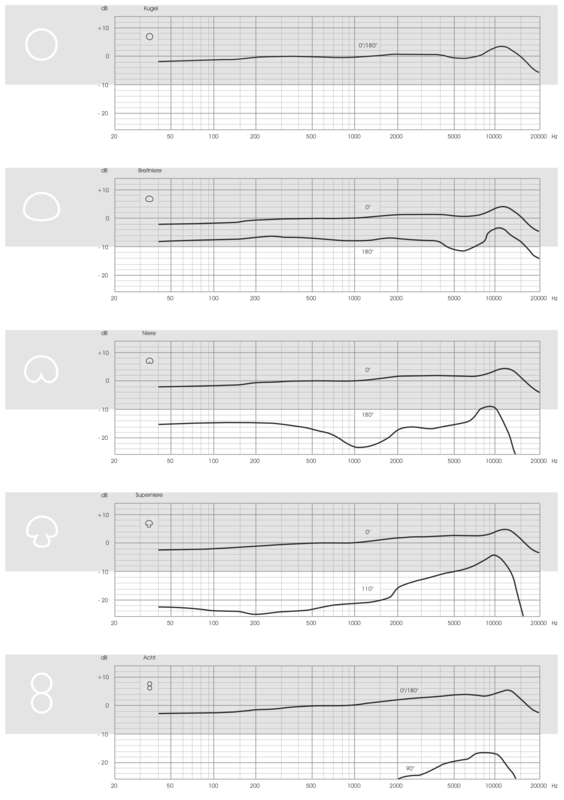 The output is automatically muted when switching patterns, allowing hot switching when live without clicks. 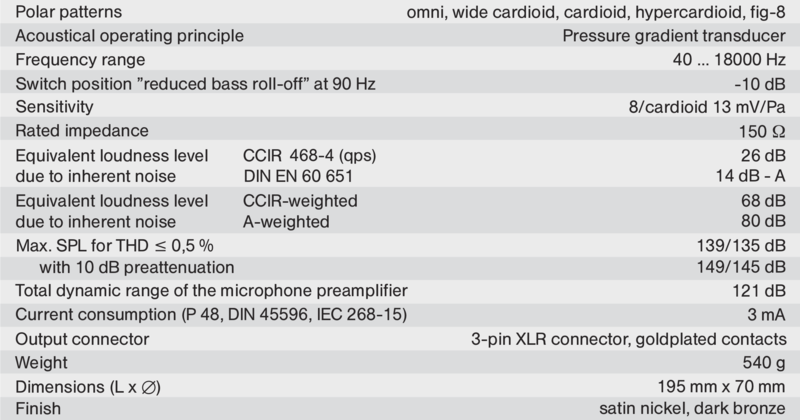 Excellent dynamic range, handling sound pressure levels up to 149dB with a cardioid self noise level of only 7dBA to DIN EN 60 651. An excellent choice for a wide range of recording purposes from vocal soloists and solo instruments to orchestral and music of every genre, in music studios broadcast and film scoring stages.